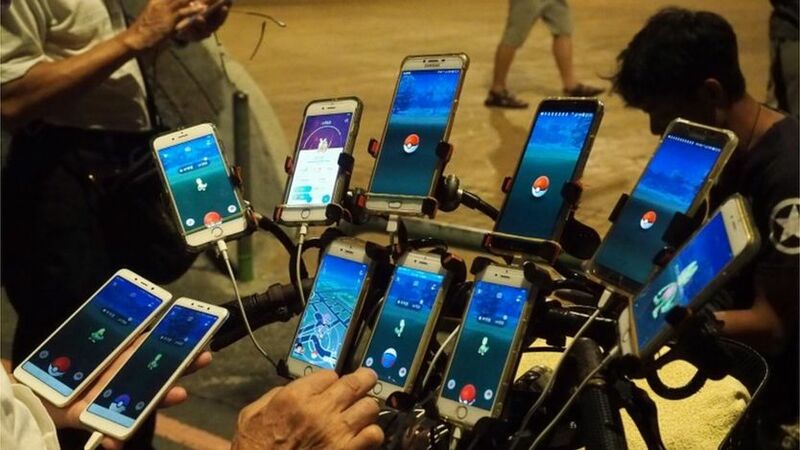 If you’re going to catch them all, you need to have the right kit. 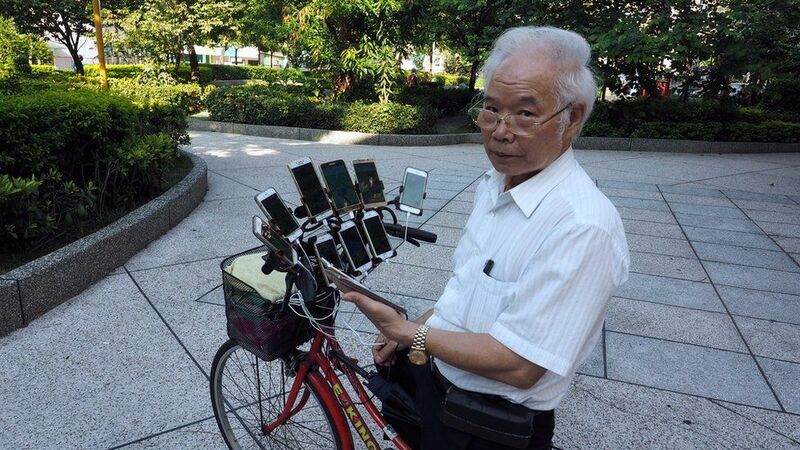 Grandfather Chen San-yuan has rigged 11 smart phones on his bicycle to play the augmented reality game, Pokemon Go. He plans to add four more. 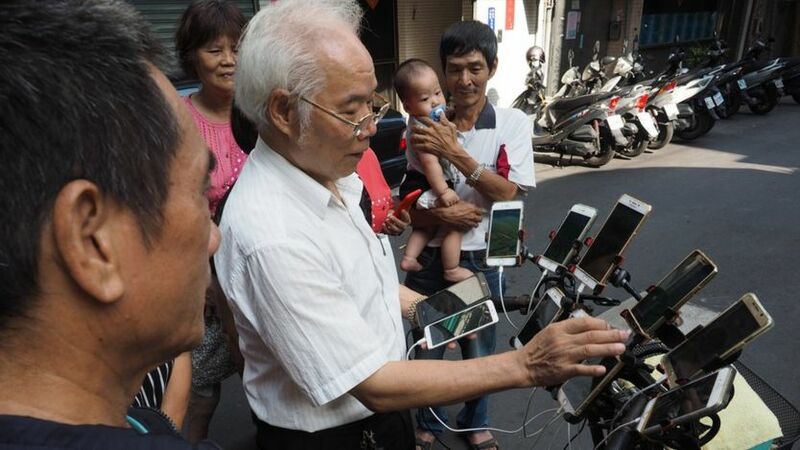 The Taiwanese man, affectionately known as Uncle Pokemon, learnt about the game from his grandson, and can play up to 20 hours straight before he runs out of battery power for his devices. He currently spends more than ￡1,000 ($1,290) a month on his habit. 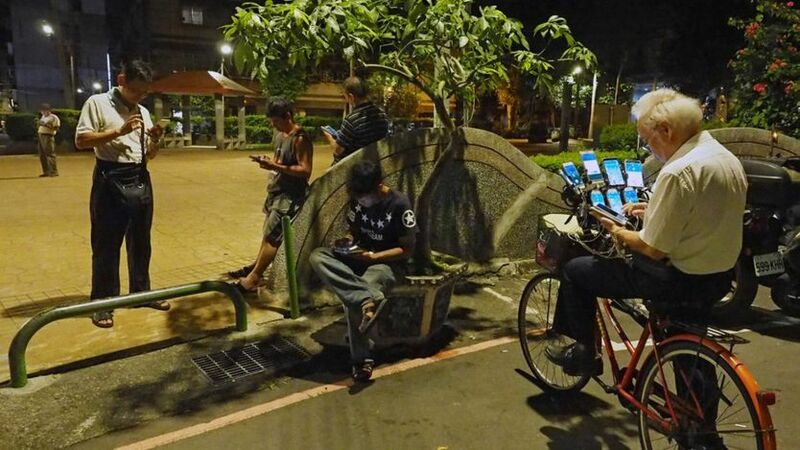 Mr Chen uses portable battery packs to power his multiple devices, enabling him to stay out late at night to catch Pokemon in the capital city, Taipei. He was unaware of his popularity until Taiwanese news channel EXP.GG found him and interviewed him, when he was only using nine phones to play. Fans of the game first learnt of him when a photo of Mr Chen appeared on social media site Reddit. He says the game has helped him to make friends and to fend off Alzheimer’s disease.